Attribute lists can be created directly by an FME reader, or they can be added to a feature by a transformer. 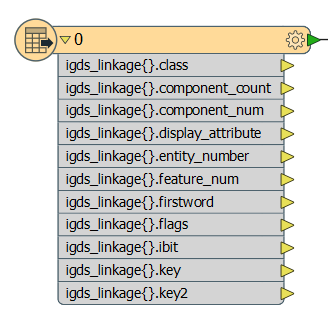 Certain FME readers make use of attribute lists to represent recurring values read from the original data source, particularly when the number of such values is not known ahead of time. In these cases, the unqualified list can be exposed in FME Workbench, and optionally a number of elements can be explicitly exposed and then treated as normal attributes. For example, the DGN format returns IGDS linkages in list form. When the Joiner is used to fetch records related to a feature from a database, and the relation is 1 to many, each of the rows fetched are added toa structured list on the feature. 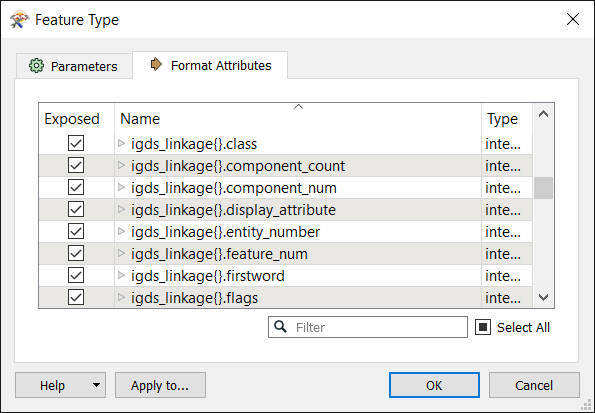 For a detailed example, see Understanding List Attributes. Overlay transformations can optionally create lists of the attributes of the original features that were involved in creating each resultant feature. For an example, see Creating Lists Using Transformers in the FME Community. When the Intersector notices overlapping line segments, it makes a list of all the attributes of the overlapping lines and adds this to the output segment. Both the Aggregator and ListBuilder may make lists of the attributes of features that they combine. The lists that are created by transformers such as these can contain very important information to be used in later processing.